The average person in the UK upgrades their mobile phone every 18months. However, very few people know they can trade-in their mobile phones for cash. Old handsets are normally disregarded and left in a drawer. We estimate that each UK household is home to at least 4 mobile phones worth on average £20 each. That equates to £1 Billion pounds worth of them sitting in drawers gathering dust. To sell mobile phones, simply type the model into the ‘Model Quick Search’ feature which can be found on the top right hand side of our website and click on the search icon. Our system will search for your model and display any exact matches. If no exact match can be found, our system will display all similar models. Simply click on your model to display its value. To sell mobile phones if you do not know the model, click on the ‘Sell Mobile‘ option found on the top tool bar of our website. The system will display a list of Manufacturers. Once you have chosen a manufacturer, the system will display images of all the selected manufacturer models that are in our range. Once you have found the image that matches the model of the phone you have to sell, simply click on it to display its value. To sell mobile phones, simply fill in the handset details and click Sell this Mobile. You will now be prompted to enter the IMEI number of your handset. This is a unique 15 digit serial number which can be found on the back of your handset (underneath the battery). Once the IMEI number is entered, click the ‘Save IMEI’ to complete the entry. A summary of your order will now be displayed. You can add more handsets or edit the order at this point. Once you are happy with your order, simply select the ‘Complete Sale’ to continue. If you have not used our service before, you will be asked to enter your personal details. Once you have done this and agreed to our terms and conditions the order is complete. 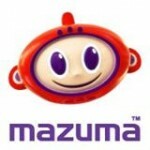 Mazuma Mobile will then check the IMEI numbers to ensure they are not registered lost or stolen. A welcome pack containing an order confirmation, delivery note and freepost bag will be posted to you within 24hrs. Simply place your old mobile into the freepost bag together with the delivery note and post it back to Mazuma Mobile. On receipt of your handset(s), we will check the mobiles to ensure they meet our terms and conditions and make payment on the same day.